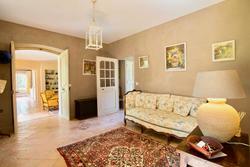 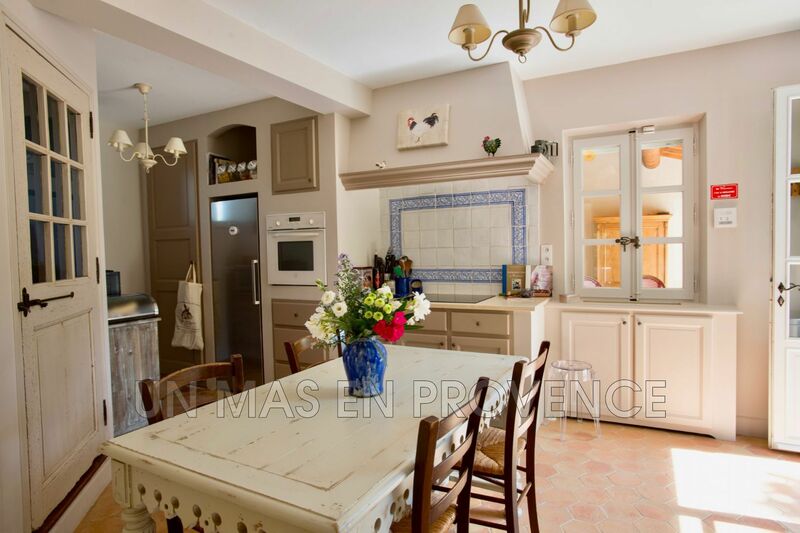 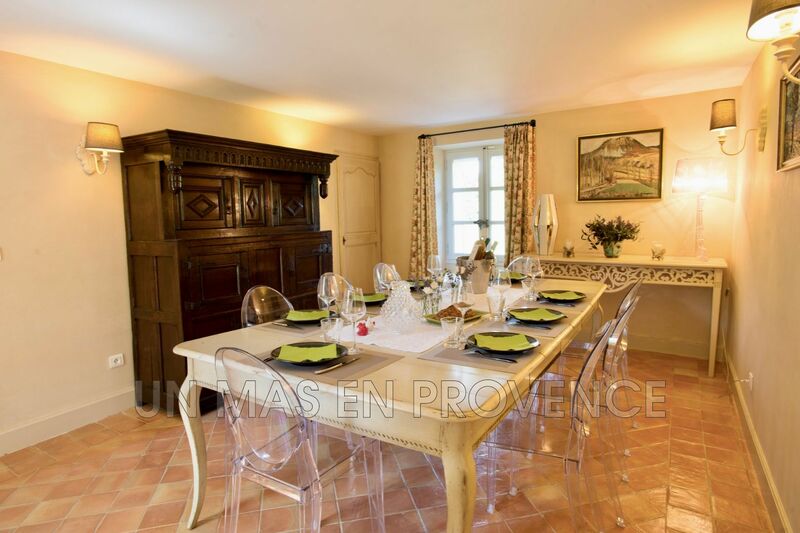 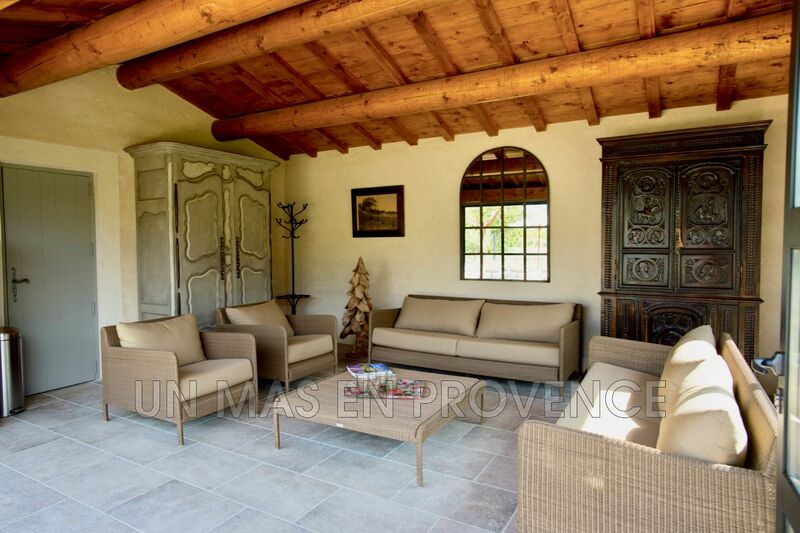 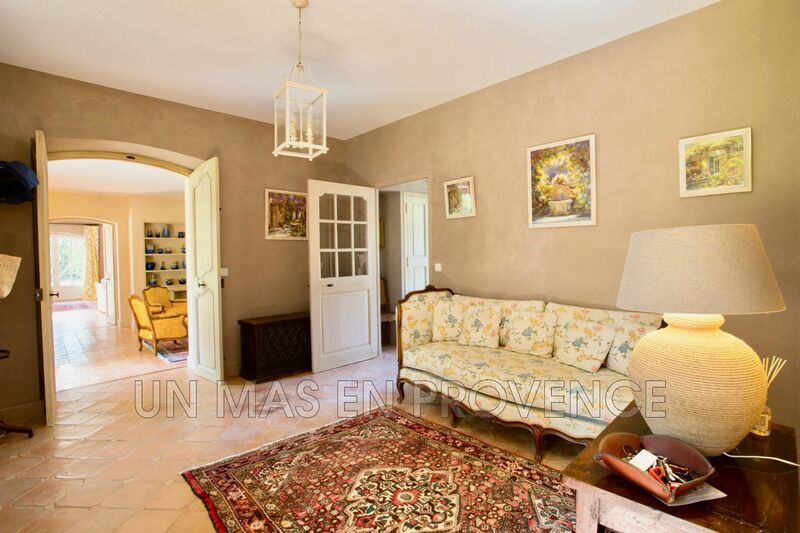 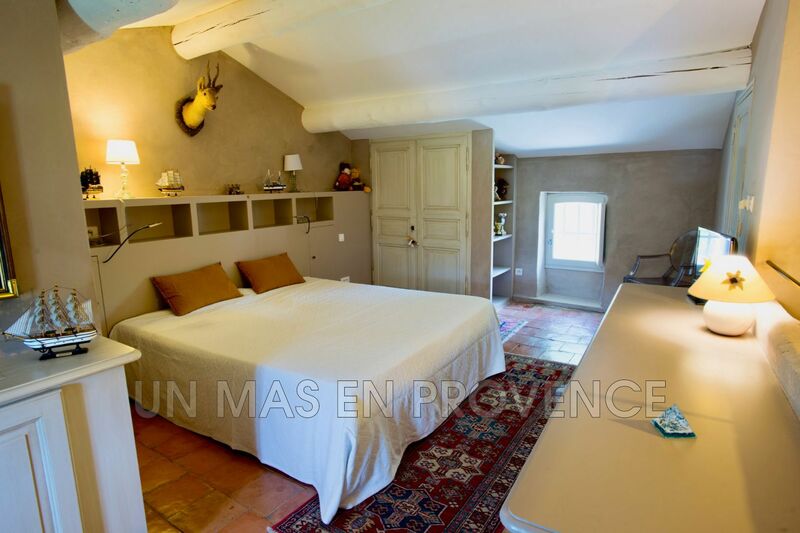 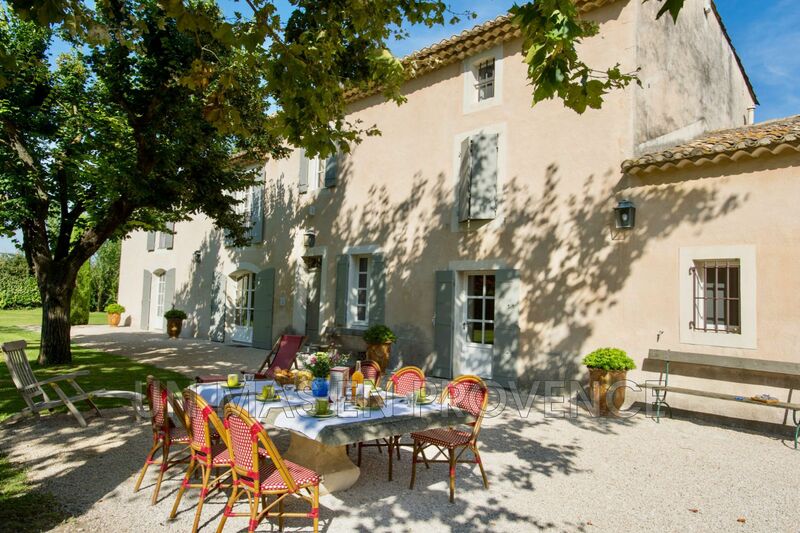 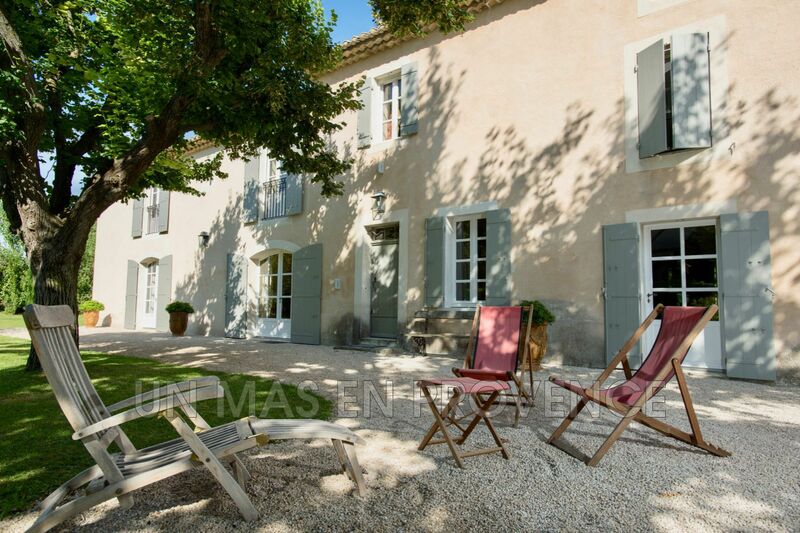 At the foot of the Alpilles, this beautiful 350 m2 restored farmhouse is located on a fully fenced land planted with olive trees and lavender. 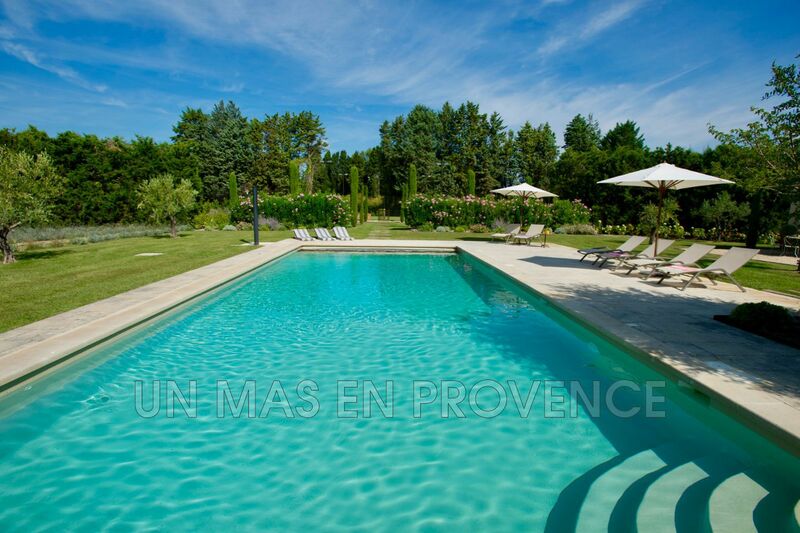 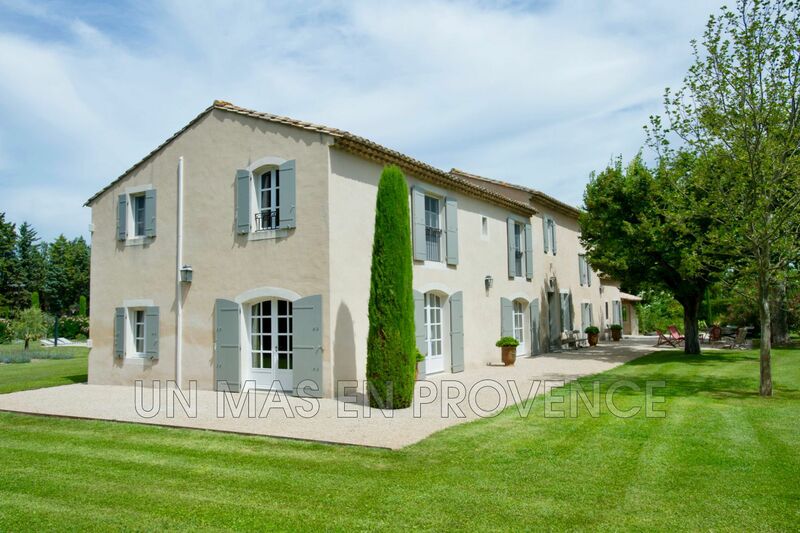 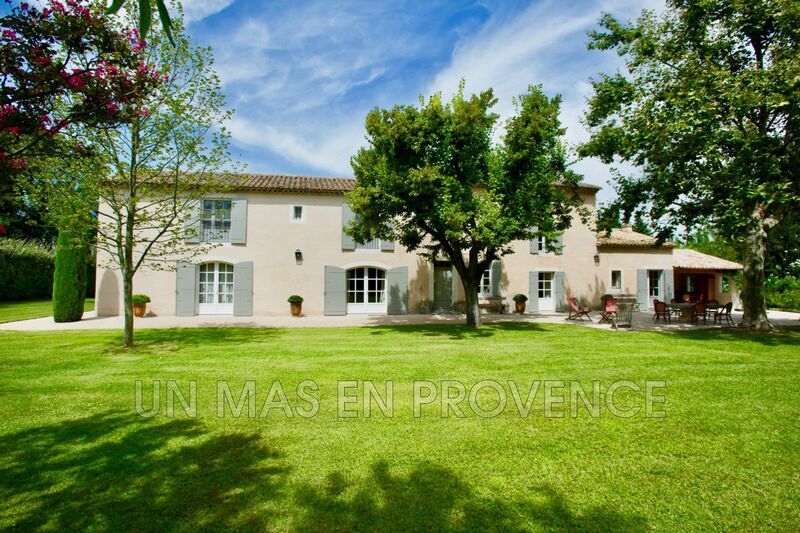 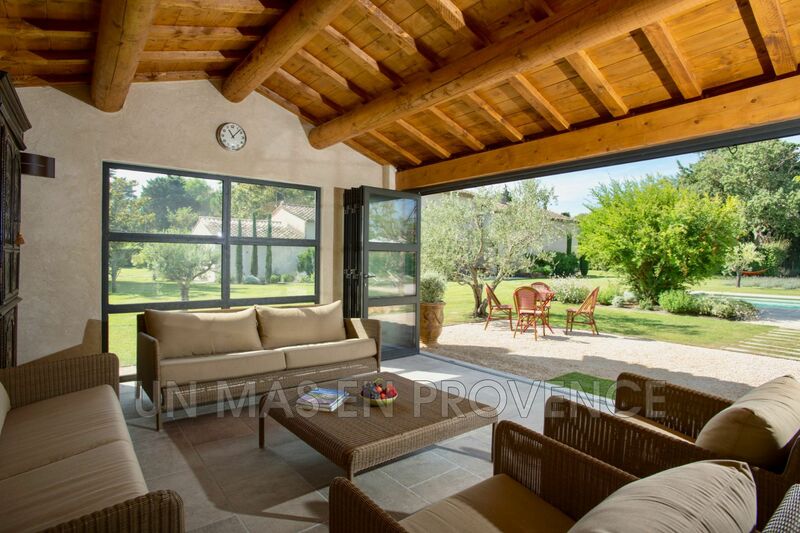 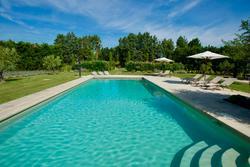 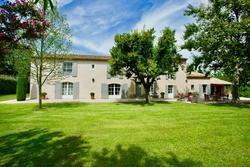 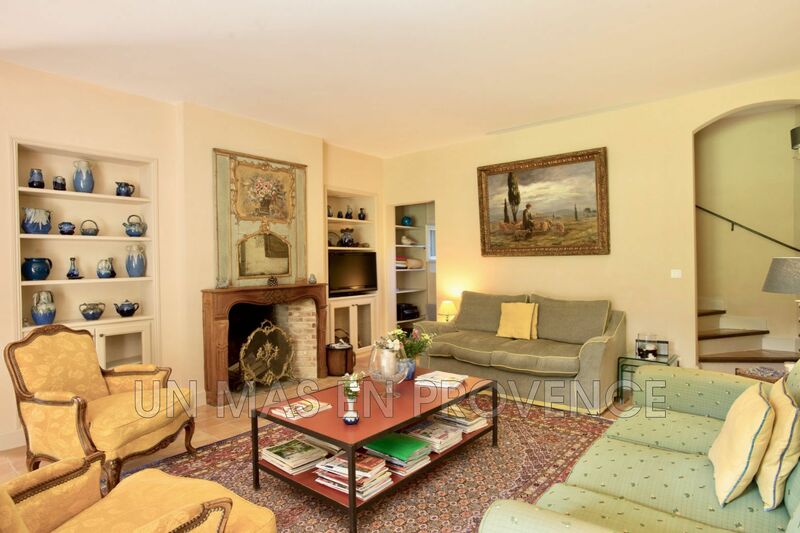 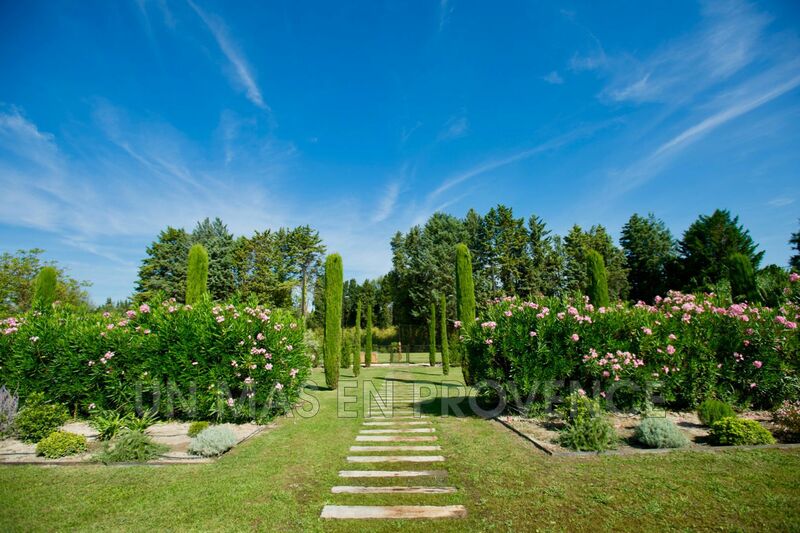 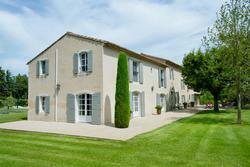 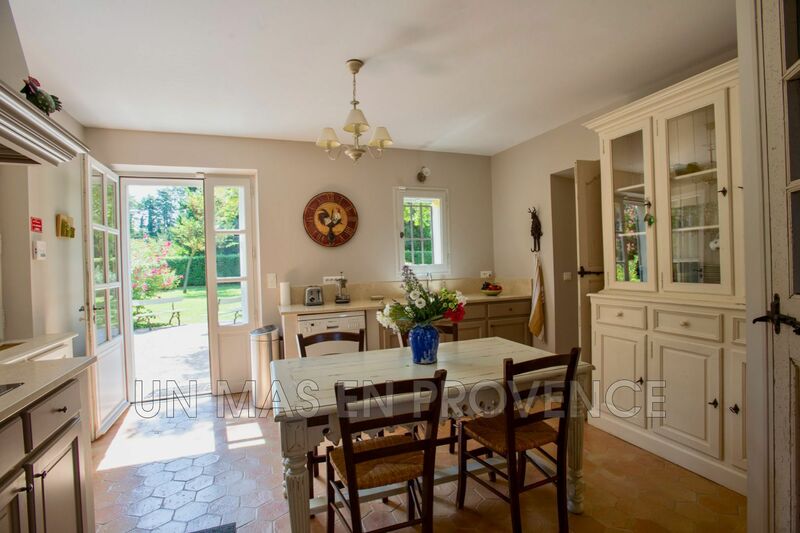 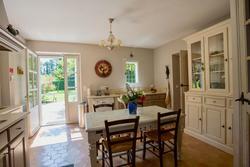 The property has a heated swimming pool 14m x 6m, a tennis court and a multi-sports field. 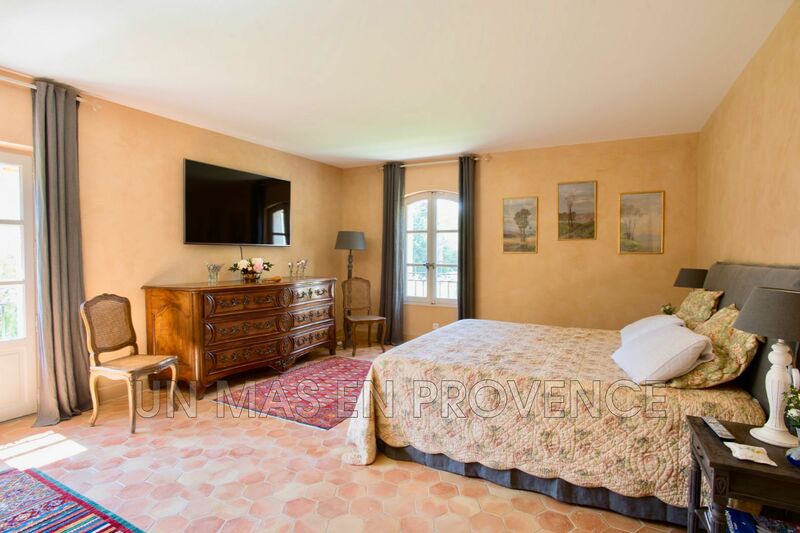 Inside, the Provençal charm has been preserved while adding a touch of modernity thanks to the facilities (air-conditioned rooms) and general comfort. 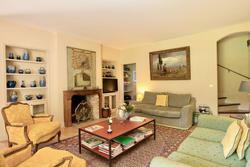 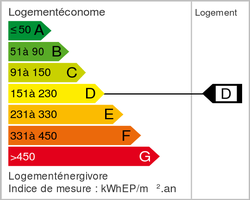 The accommodation is ideal in size for 10 people in summer or in winter. Several indoor and outdoor sitting areas will allow you to relax according to the time of day. The property offers 5 bedrooms and 5 bathrooms.